The 10 Best Garden Centers and Nurseries in Michigan! The urge to get out and garden is strong for many, and indeed, going about the basic operations of a garden can be a conundrum. So where do you go to get your garden started? The good news is that there are plenty of options right here in Michigan. So settle in, sharpen your trowel, and check out the list of 10 great garden centers in Michigan! Described as the largest locally-owned garden center in Michigan, Holland's Jonkers Garden offers fully 16 greenhouses packed full of material. That by itself is no shortage of greenhouse space, but when you throw in the statuary, the pottery, the planters, fountains and other items available, you'll find a lot of what you want is located at Jonkers. Gee Farms in Stockbridge takes two great things—a garden center and a farmer's market—and combines them seamlessly to produce an experience that's tough to match. Start right from the base with soil mixtures and fertilizers, then grab something to put into that soil ranging from trees and shrubs to even a slate of rare plants. Then, before you leave, grab some home-baked bread complete with jam, jelly or preserves to complete the package and make your day complete. Constantine plays home to this surprisingly large garden center operation. Open three months out of four every year—about the only time it's closed outright is in winter—not only does Arnett's Landscaping boast flowers and plants, but also trees and shrubs along with outdoor living materials and even bulk landscaping materials like wood shavings and a host of others. Recently, it's even added symposiums to let gardeners know some extra tips and tricks of the trade. Check out Sawyer for the Sawyer Home & Garden Center, a shop that will offer a lot more than implements and seed packets. While of course it will offer gardening products—and a good-sized slate of them—Sawyer Home & Garden Center also offers clothing, jewelry, home décor items, and even an array of gourmet food and drink options. Fresh produce is available daily, and stop in weekends for wine tasting sessions. Fennville's Wavecrest Nursery offers a surprisingly wide variety of plantables for those times when you want to get out into the fresh air. Trees and shrubs, along with perennials, are of course in stock, but Wavecrest will ramp the offerings up significantly by including a variety of hollies, vine plants and even certain grasses for those of a mind to plant a prairie in their backyard. The sheer variety makes this one worth checking out! Ranked No. 1 on the Detroit CityVoter roster, Bordine Nursery in South Rochester has plenty going for it. With over 75 years in the industry, Bordine has grown to be the single largest family-owned grower and retail garden center in all of Michigan. 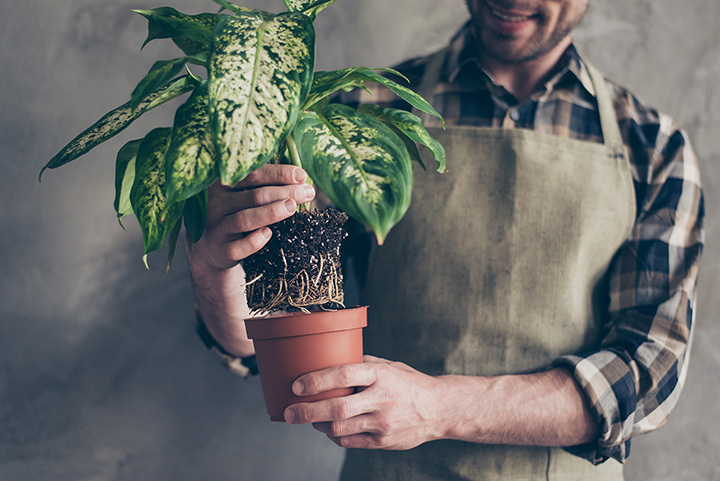 Sponsoring its own Spring Expo event, Bordine will offer not only an array of floral options, but also home décor options, and its website boasts a complete plant library for those who want to learn more about what to plant. Are you an obsessive gardener? Do you want rare plants? If so, pack up for Fowlerville and a place that offers—according to the website—“rare plants for obsessive gardeners.” Arrowhead Alpines offers some of the most unusual plants around, focusing on woodland wildflowers, dwarf conifers, and like the name suggests, rare alpines. It's also got a slate of “unusual trees and shrubs,” so for those things you can't find just anywhere, a trip to Fowlerville may be in order. Once again, Traverse City did not disappoint, as it gave me Garden Goods. This five-acre mammoth installation offers not only plants, but also houseplants, and then goes on from there to include things like garden art and holiday-specific items, which is great when you don't know where you're going to get that poinsettia for Christmas. Even the Upper Peninsula loves to garden, and Nagelkirk in Marquette will be the best representation of that love. Offering the full range of soil, mulch, shrubs, trees and vegetable plants, Nagelkirk will provide gardeners with most every tool needed to make a real winner out of a garden. Plus, it recently acquired another local garden outlet, Meister's Greenhouses, to make its already impressive operation even better. With a name like Flowerland, you know what's got to be waiting, so head on up to Grand Rapids and get a look at just what a Flowerland should look like. Not only does it offer the tools to grow your own, but it also has a floral department that will deliver much of the produce of a garden immediately, as long as it's flower-based. Throw in outdoor living options and some holiday-specific matter—great for Christmas decorating needs—and Flowerland makes Grand Rapids a lot better for it.